The Santa Monica Airport2Park Foundation, Santa Monica’s primary organization seeking the conversion of Santa Monica Airport (SMO) into a grand park, has thrown its support behind the a protest at the airport scheduled for Saturday, Feb. 4, 2017, from 11:00 a.m. to 1:00 p.m. 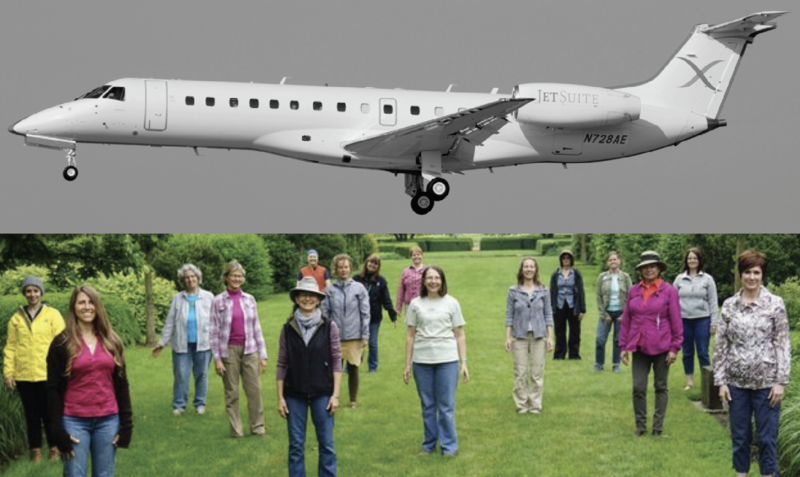 The protest has been called to fight the announced plans of JetSuiteX to being schedule commercial service at SMO using 30-passenger Embraer 135 jets. The protest is being organized by Concerned Residents Against Airport Pollution (C.R.A.A.P. ), and is also being supported by many community groups, including Friends of Sunset Park, Community Against Santa Monica Airport Traffic (CASMAT), North Westdale Neighborhood Association, SMO Future, No Jets Santa Monica, SMO Future, and Venice Residents Against SMO. Speakers at the protest will include Congressman Ted Lieu, Santa Monica Mayor Ted Winterer, and Los Angeles City Council Member Mike Bonin.